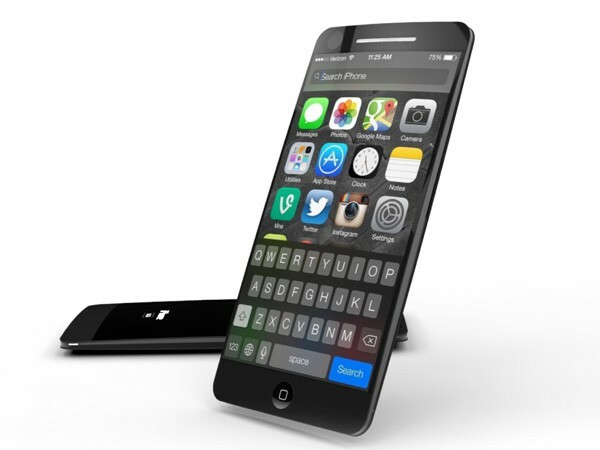 Apple iPhone 5S has been on the receiving end of lots of rumors and speculations about this smartphone. It is currently the most awaited gadget of the year. The release date is yet unknown, but is predicted to be somewhere between August and September this year. Apple iPhone 5S promises a lot of additional features. It would provide better network connectivity with all the leading network providers. The striking features about iPhone 5S is the bigger screen size with the slim body. The newest operating system iOS 7 is set to run all integrated applications in a smoother manner. The processor speed is faster than that of the previous handsets. The quality of the camera application is better (13 MP camera) and now users can enjoy the experience of shooting 1080 pixels HD videos too. The iPhone 5S is likely to have a bigger battery life, the use of an A7 processor made by Apple and two LED flash that would improve the camera performance in low light. The camera also possesses the options of Face Detection, Geo Tagging which would astonish the smartphone users. include Predictive text input, Organizer and TV Out are some of the features Apple iPhone 5S would include. The pictures of this innovative handset have been leaked online and it is sure to appeal to many smartphone users. The concept of iPhone 5S has been credited to Alvaro Toledo and the design is done with Yanko design. The designer does not obviously agree with the suggestions that iPhone 5S is a mere extension of the iPhone 5 and has a similar profile and features. Something that is surprising is, the viewpoint made by the designers that the style of the design of this new handset is different from the ones produced before. According to some rumors, the device will also carry out the big 4.8-inch edge-to-edge display. The display may come with Retina IPS LCD or IGZO display technology according to some reports. This display will available in multiple colour schemes to ensure vivid display clarity. The specifications of this device definitely attract the gadget freaks and iPhone 5S is expected to be one among the best Smartphones current. The device promises of various upgrades that take the user experience beyond expectations. There are rumors around of 128 GB capacity, since the Ipad 4 by Apple had the same capacity. The user has more space now for storage of multimedia files and other data. The iPhone next generation will be in 16GB, 32GB, 64GB and 128 GB capacities. iOS 7 is the successor of the famous iOS 6 operating system, so expect a complete redesign of the user interface. While the previous iPhone versions only had the black and white color handsets, iPhone 5S allows a third color. The color is undisclosed but if some rumors have to be believed, Apple might just come out with the rainbow color options. This would undoubtedly make Apple fans happier. Obviously the features and specifications can only be assumed as of now. Author Bio: Born in Bristol UK, Christy Root is a technology writer currently based in London. Christy began writing for small business in the few years back. It wasn't long before the two worlds merged and writing about technology, particularly in the mobiles, accessories and trendy gadgets, became a full time career.She gets her gadget news on PrePayMania. You can follow her at Google+.